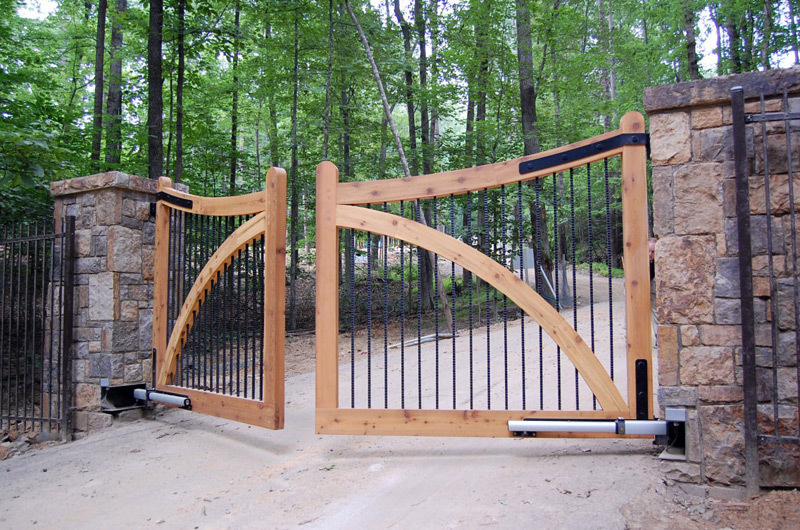 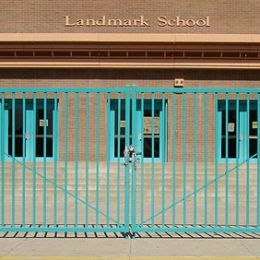 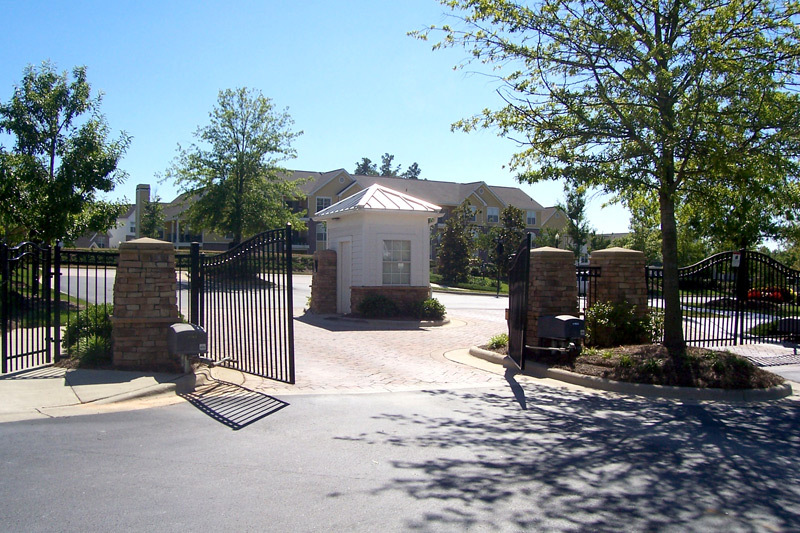 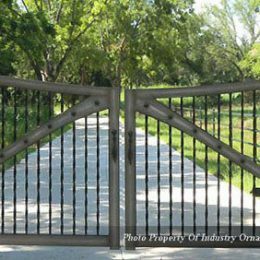 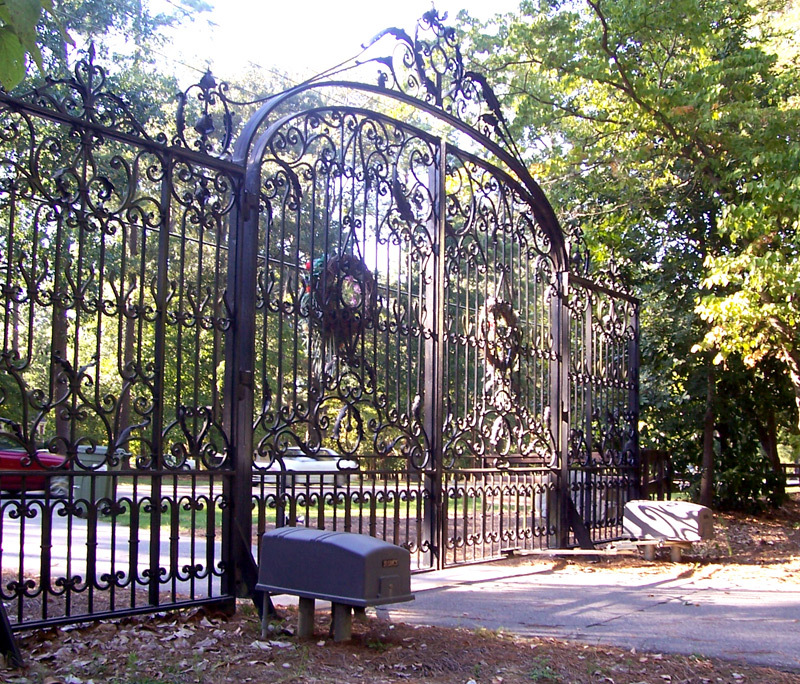 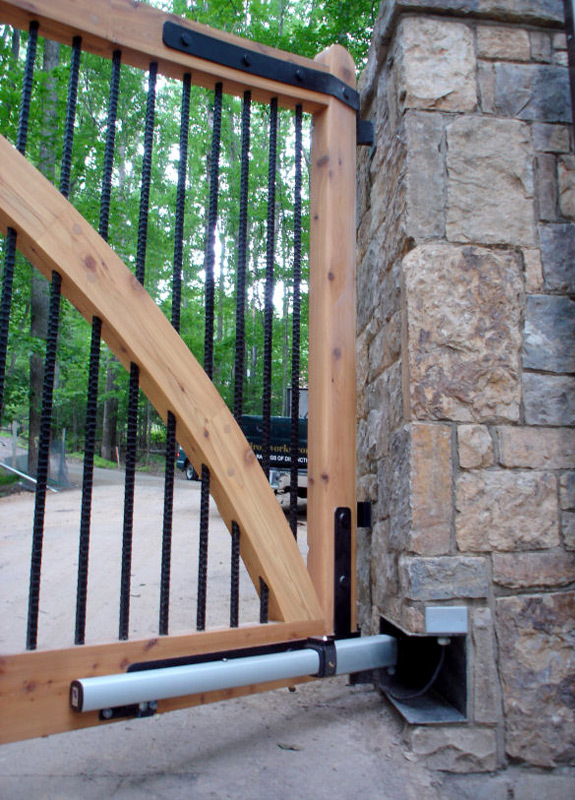 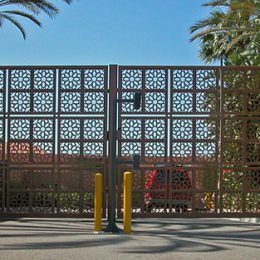 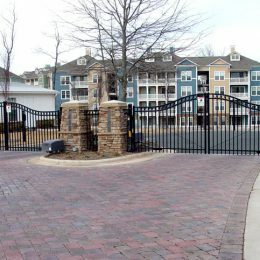 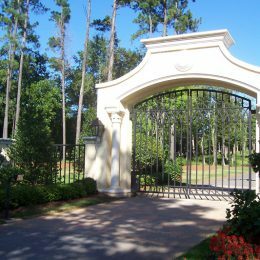 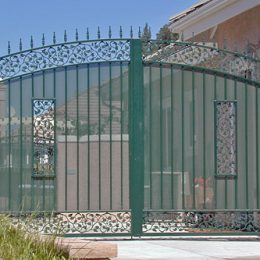 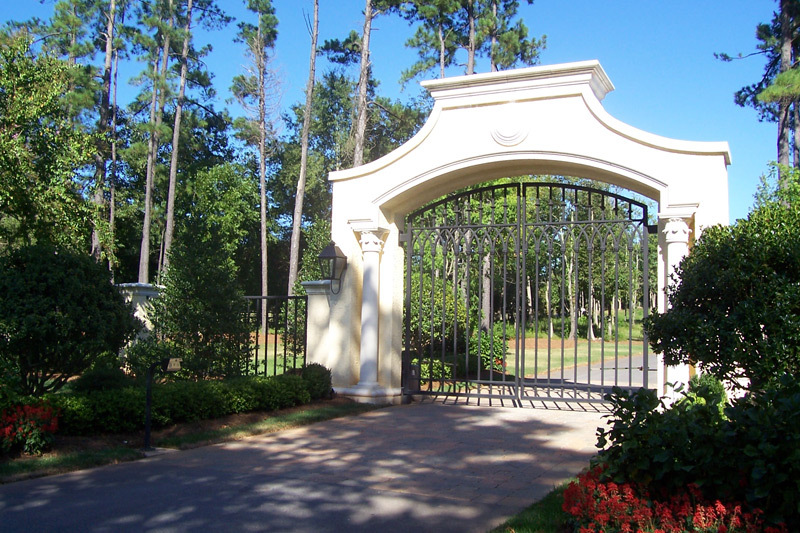 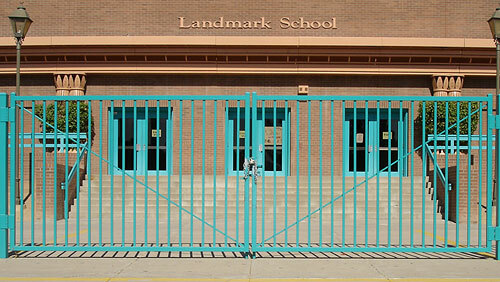 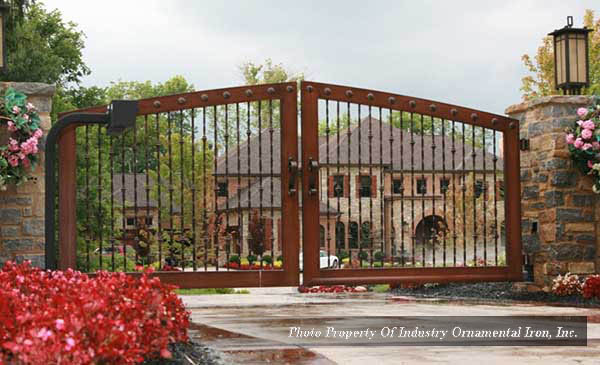 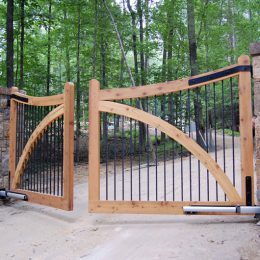 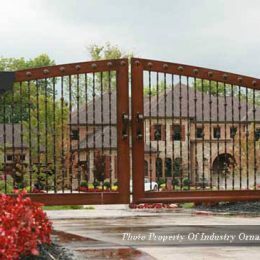 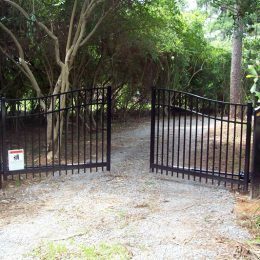 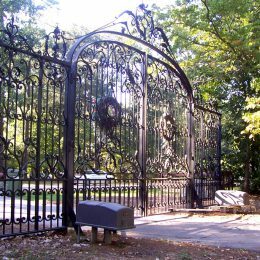 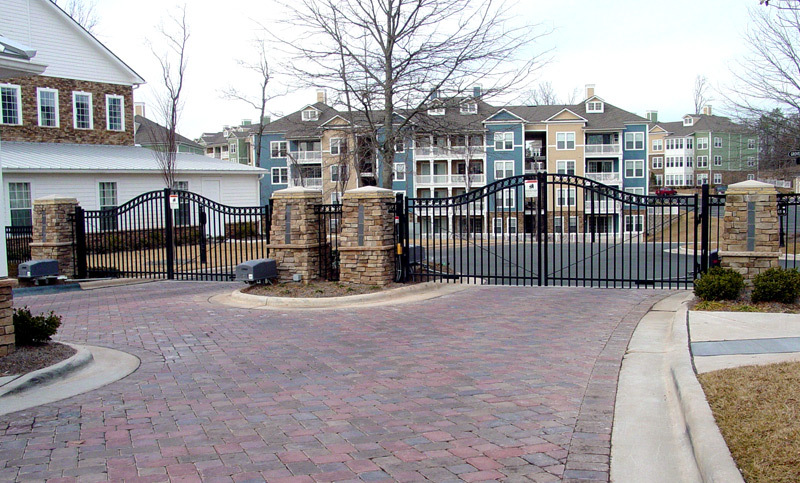 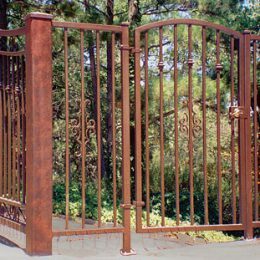 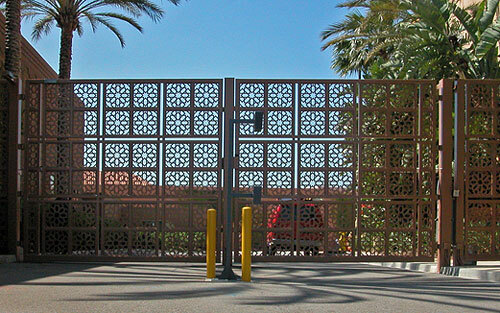 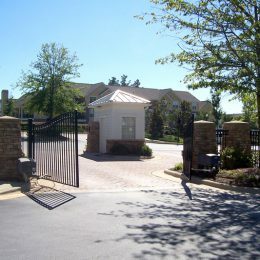 Gates and access controls are an integral part of the physical security of your property. 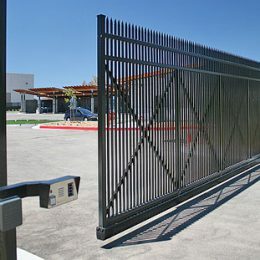 When designing a security program, it is important to keep in mind what type of property you are designing this security program for, who you are trying to control access for, and the level of security you will need. 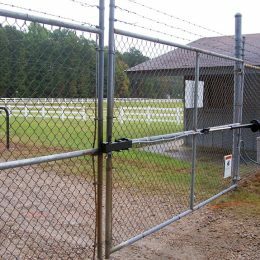 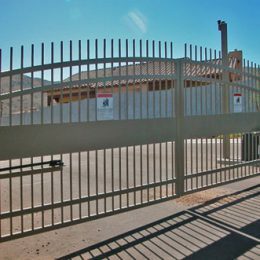 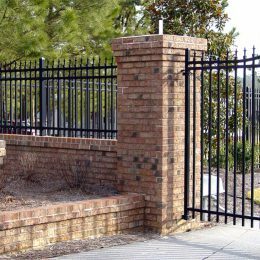 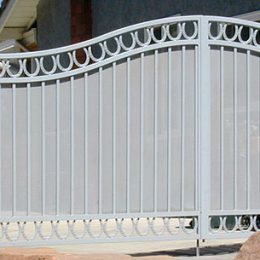 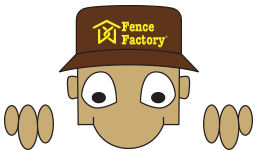 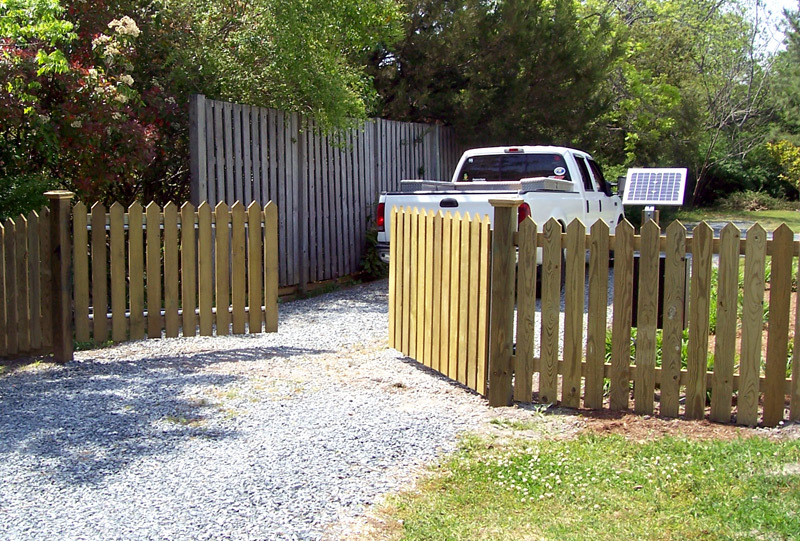 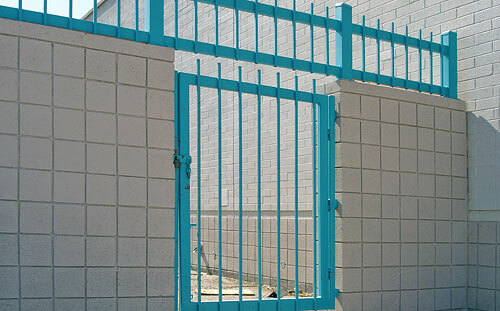 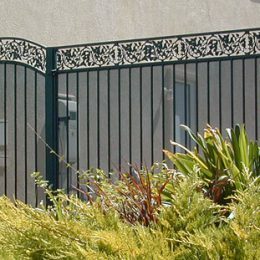 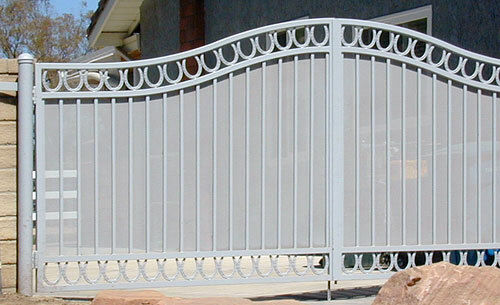 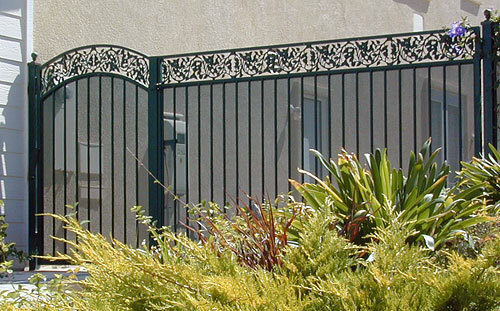 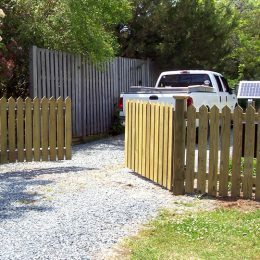 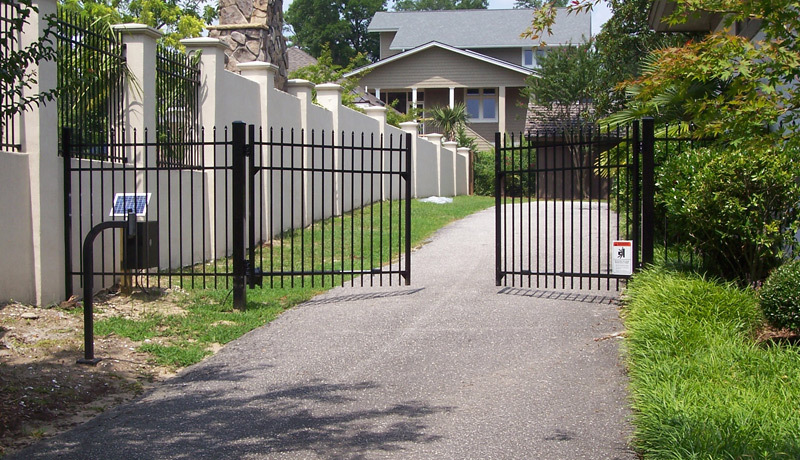 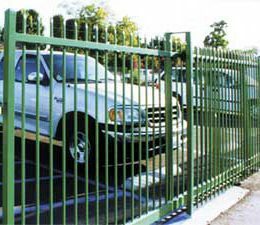 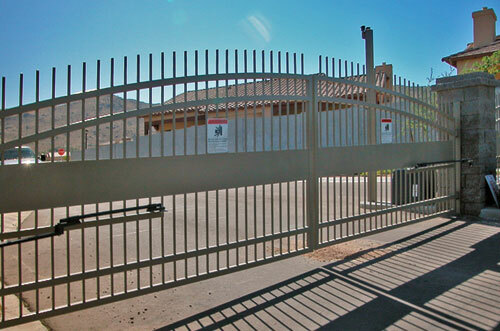 At Fence Factory, we offer security options for your residence as well as government level security fencing. 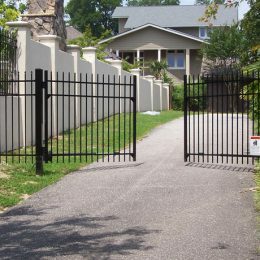 In deciding what type of perimeter security to implement, you need to weigh the risk of an intruder entering your property with the cost of the available physical security measures. 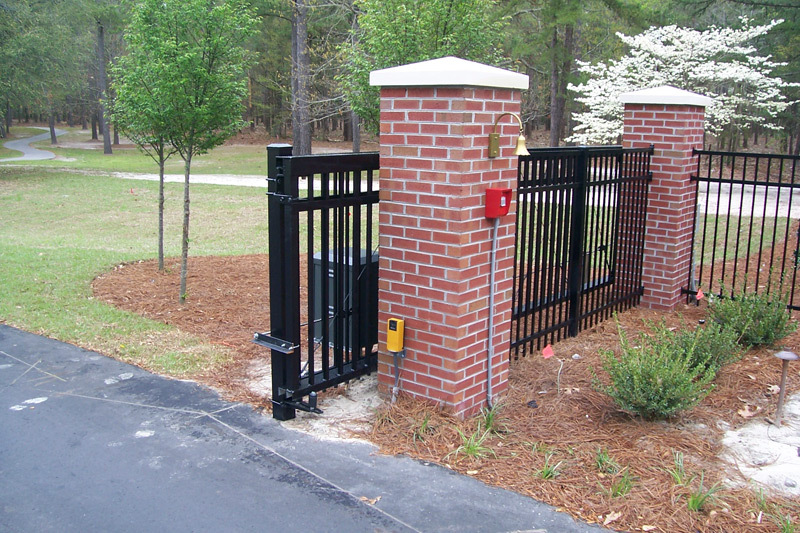 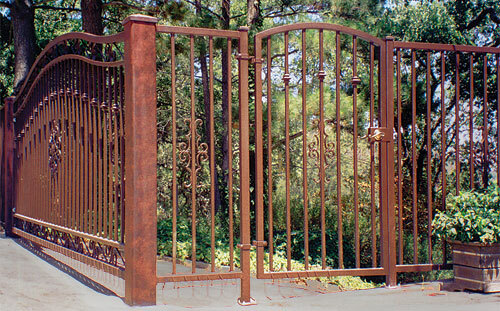 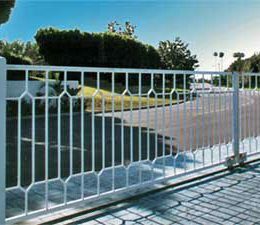 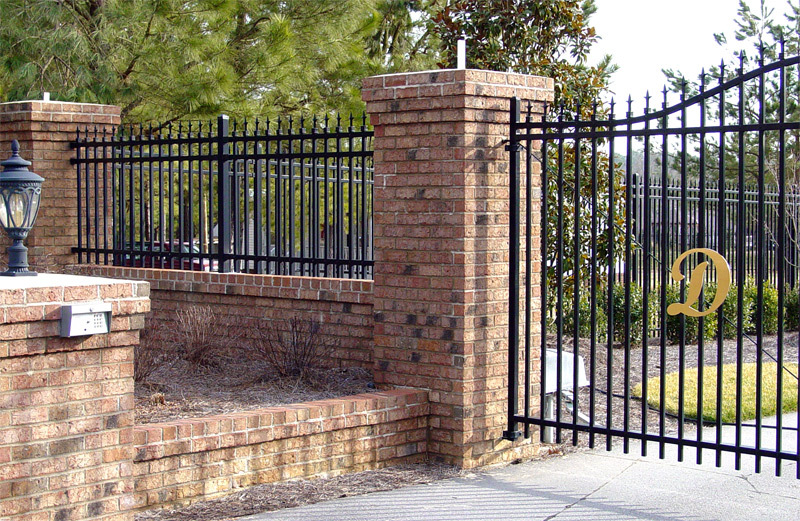 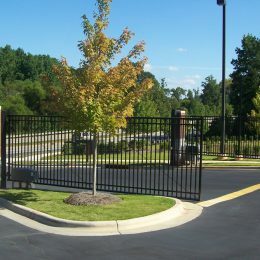 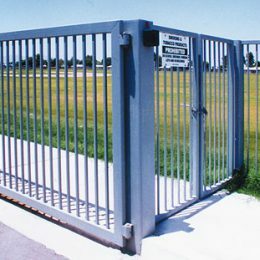 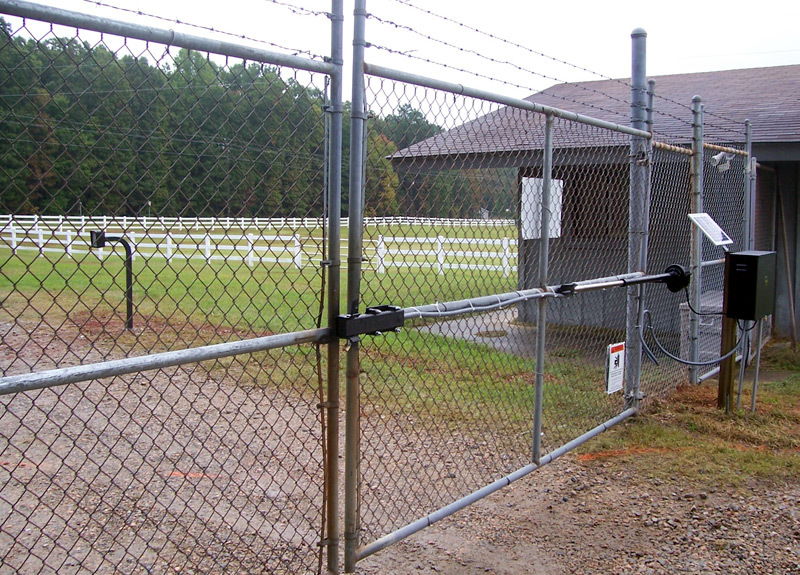 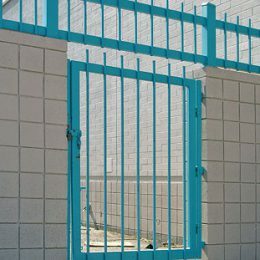 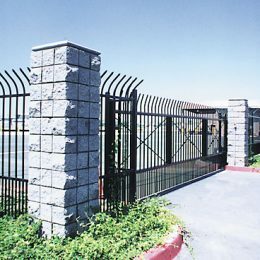 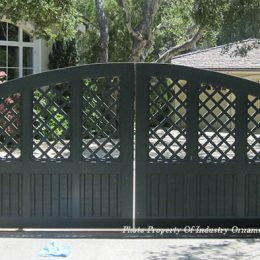 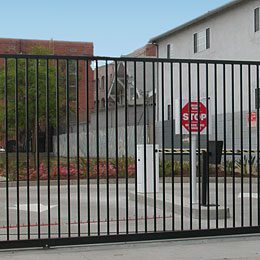 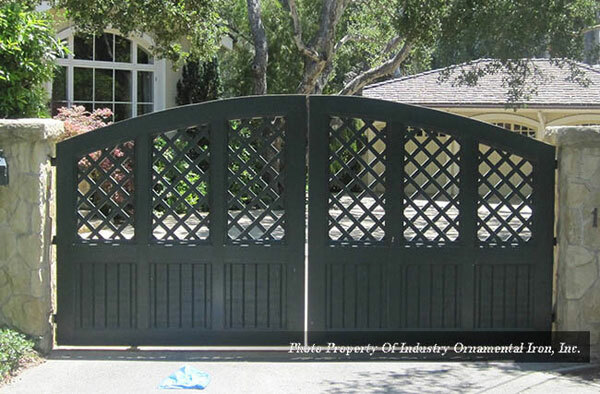 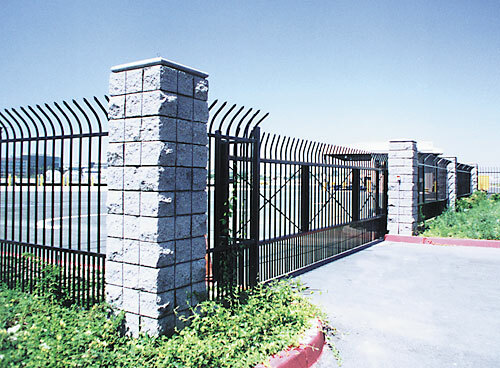 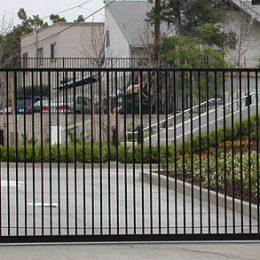 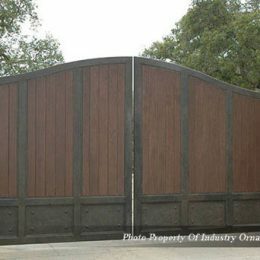 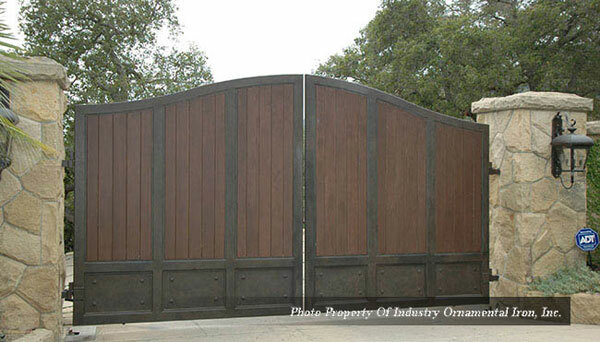 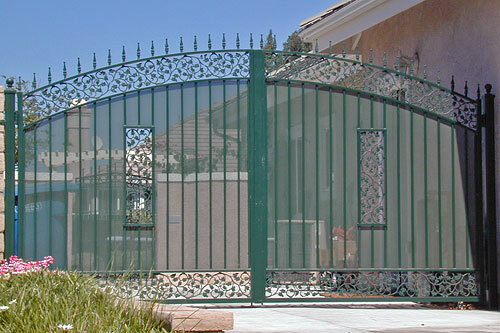 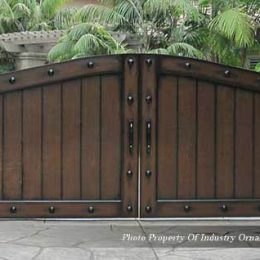 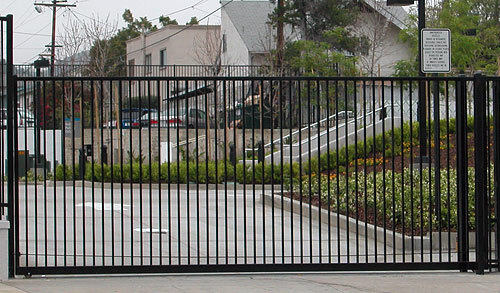 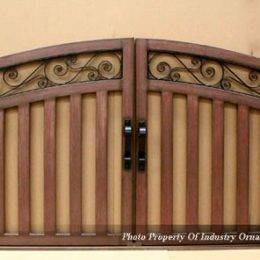 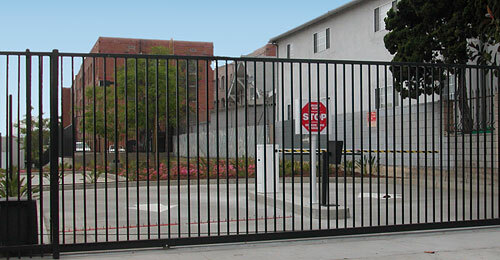 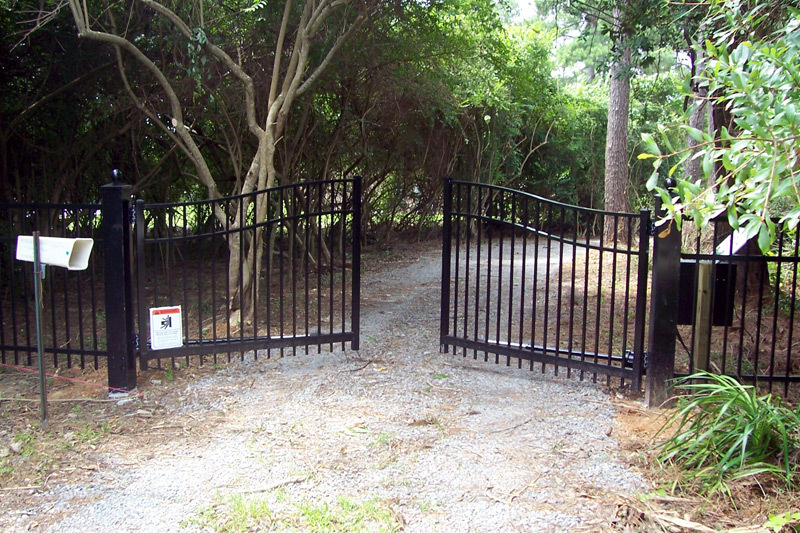 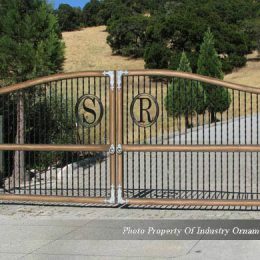 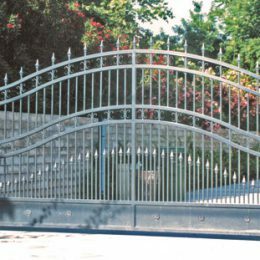 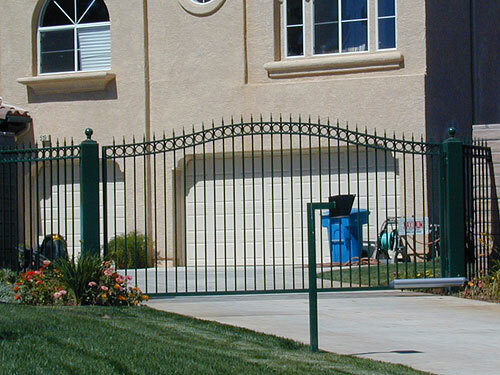 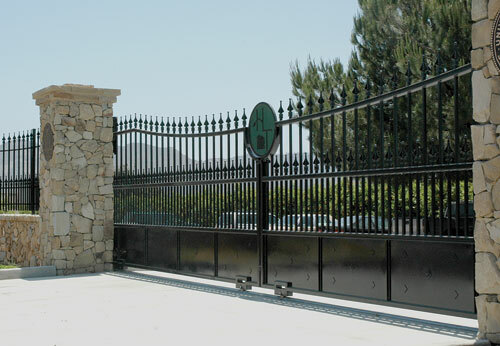 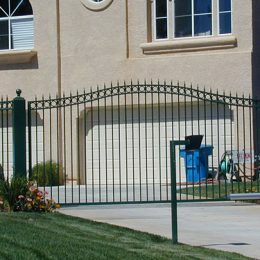 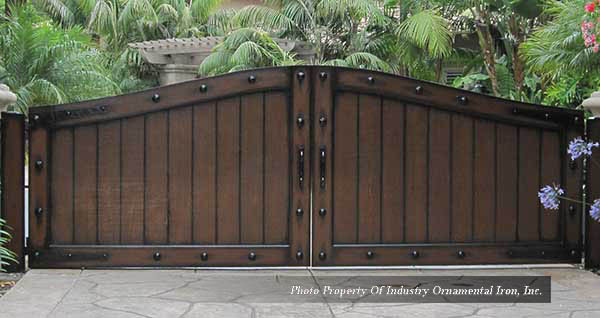 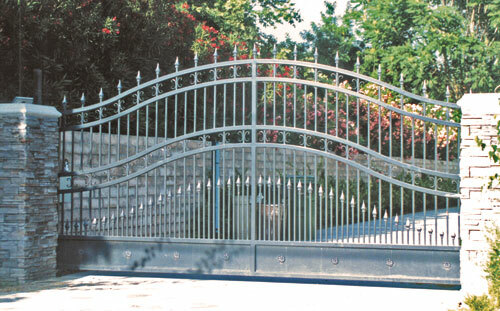 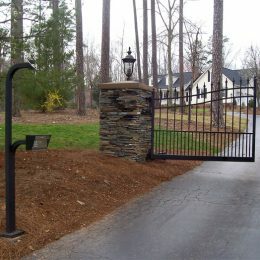 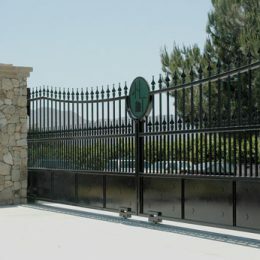 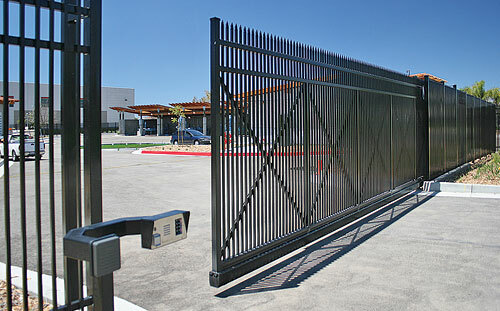 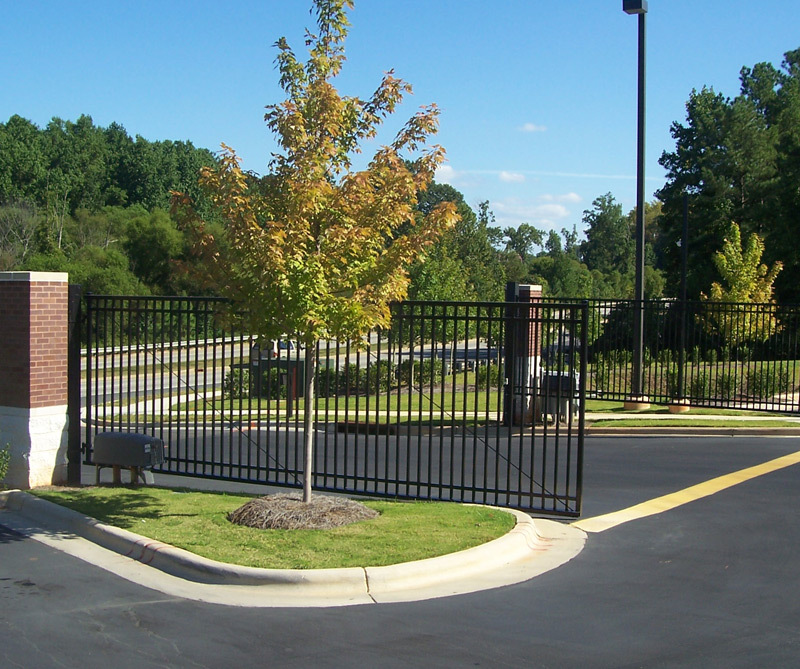 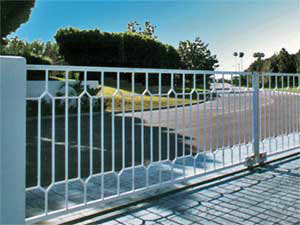 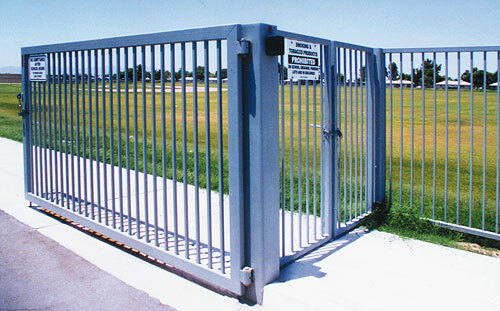 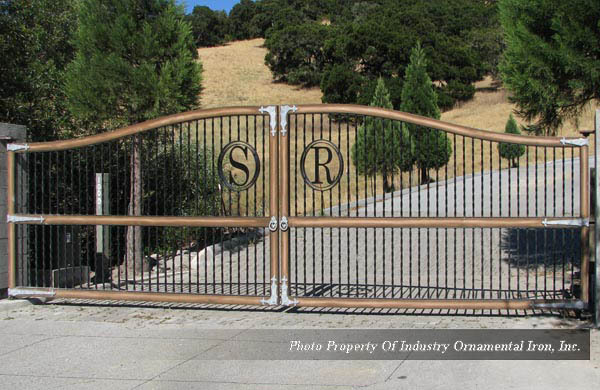 Fence Factory can supply and install a wide assortment of electronics for automated gates and security systems. 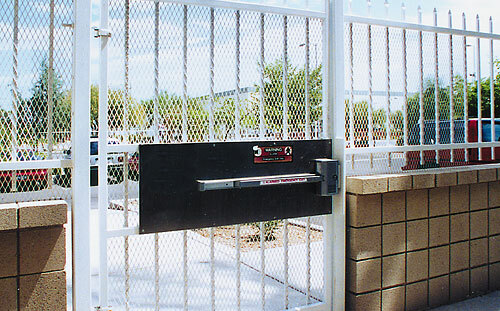 Included are all the accessories needed for entry and exit control as well as safety and security devices. 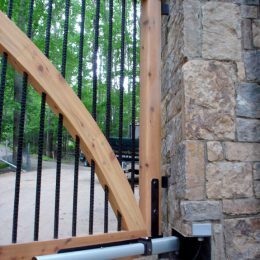 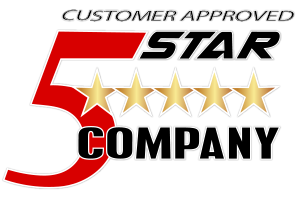 Our specialized staff design and install your own custom set-up or we can assist you in choosing the components that best match your existing operating system. 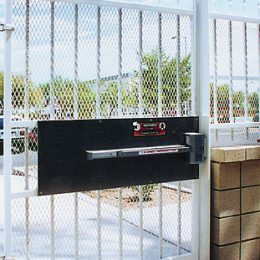 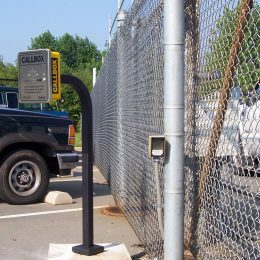 Gate Operators – Low voltage residential 12/24 DC operators and AC operators for heavy-duty commercial applications. 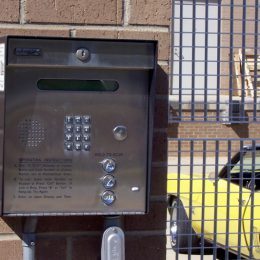 Entry Devices – Assortment of electronics to allow access for residential or commercial applications. 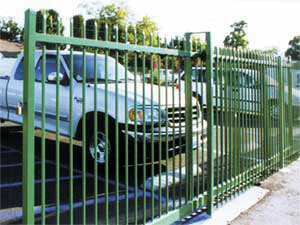 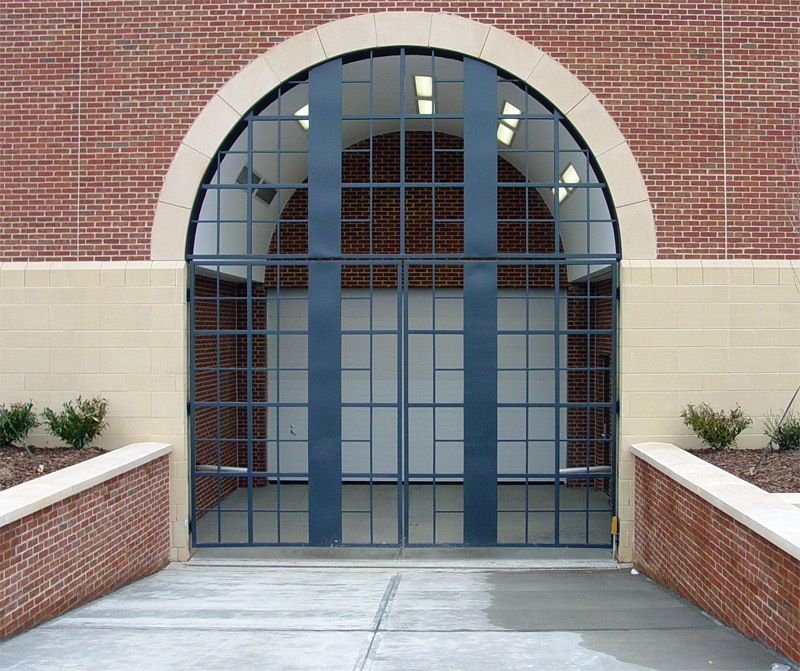 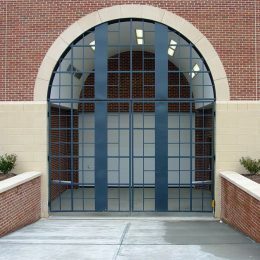 Exit Devices – Allows “free exit” for vehicles leaving the premises. 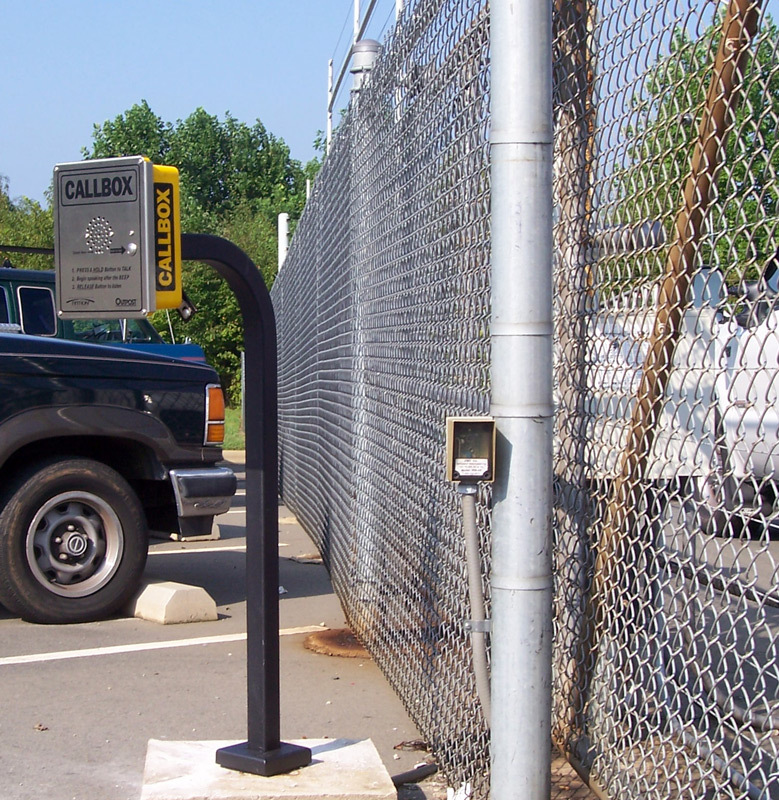 Safety Devices – Necessary to protect vehicles and personnel in entrapment areas. 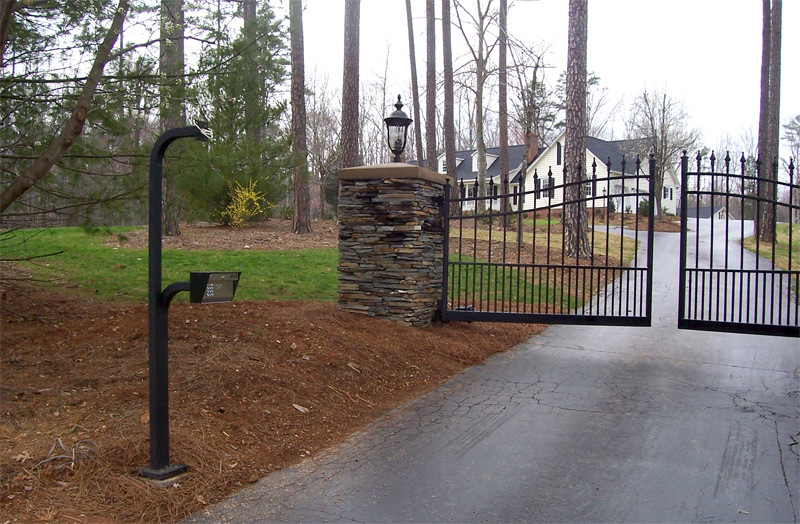 Security Devices – Locks for walk gates and driveway gates. 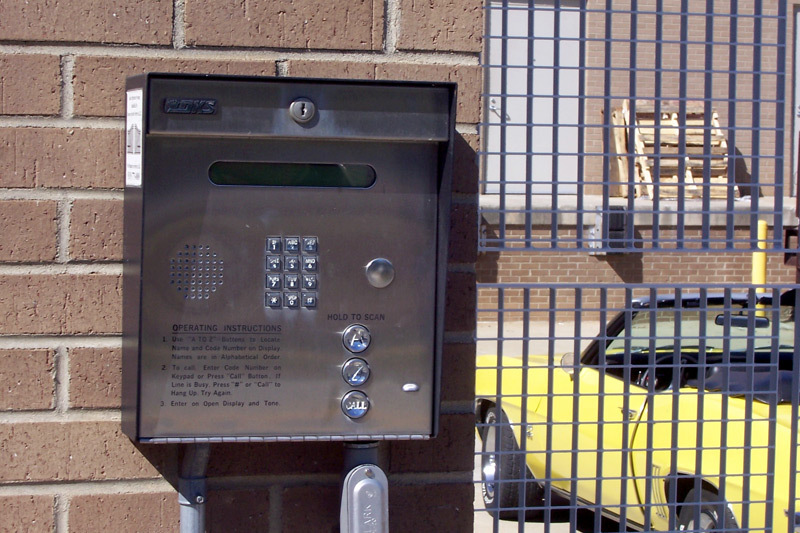 Commercial traffic control devices. 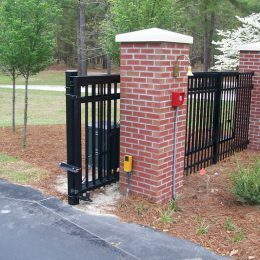 Miscellaneous – Goose neck stands for entry/exit devices and wiring to connect all your components.